Often imitated but never duplicated, the elusive vintage "script" Phase 90 is at the top of the list for pedal collectors world-wide. The original version–available from the company's inception to the late 70's–practically defined the classic phase shifter sound, and was heard on everything from hard rock, jazz-fusion, to funk hits. 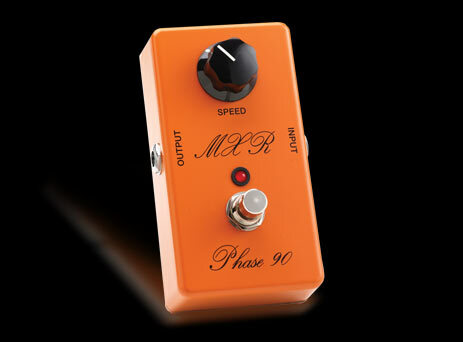 The new MXR Custom Shop Script Phase 90 brings back the headroom and clarity of the original, along with its ultra warm and smooth phasing and reduced midrange swell. And it comes dressed in the original smooth orange paint job and script logo, with an LED direct from the MXR Custom Shop.